Chicago Food Machinery #10 Stainless Steel Meat Grinder easily attaches to any counter top surfaces for your convenient use anywhere. It comes equipped with a full assortment of plates, a set of sausage stuffing tubes, and knives. This all inclusive kit will make meat processing a breeze as it easily disassembles for quick cleanup. 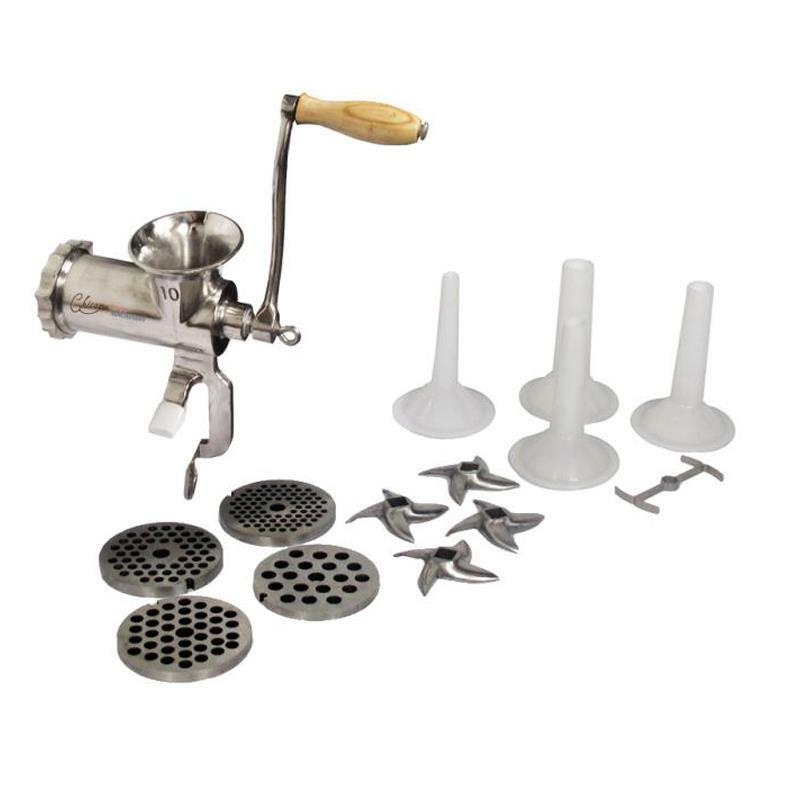 Chicago Food Machinery #10 Stainless Steel Meat Grinder comes with a 1 year Limited Manufacturer Warranty. Hopper opening measures 3" x 4"